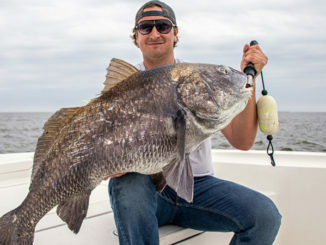 At least until the first major cold front, tripletails are still plentiful in the Mississippi Sound. 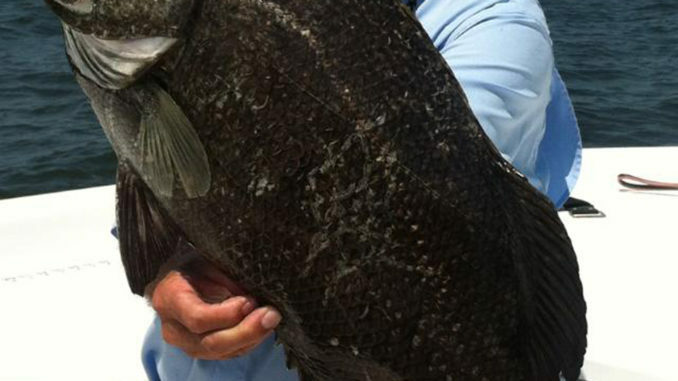 Look around any floating debris or cover, or around marker poles for these tasty fish. The air is cooling, water temperatures are still comfortable, and many different species of fish are feeding heavily. But something else that is prevalent this time of year — biting flies. To combat the pesky critters, Dubroc uses Ben’s Insect Repellent with 100-percent DEET. Other fishermen in Mississippi and Louisiana have different formulas, many made and concocted at home with either a vanilla base, or with scents from stores like Victoria’s Secrets. Perhaps the best protection is clothing, long sleeves and long pants. Dubroc wears lightweight performance fishing shirts with hoods, often wearing the hood throughout the day. “Its main purpose is to keep the sun off my neck and bald head, but it helps keep the bugs away, too,” he said.